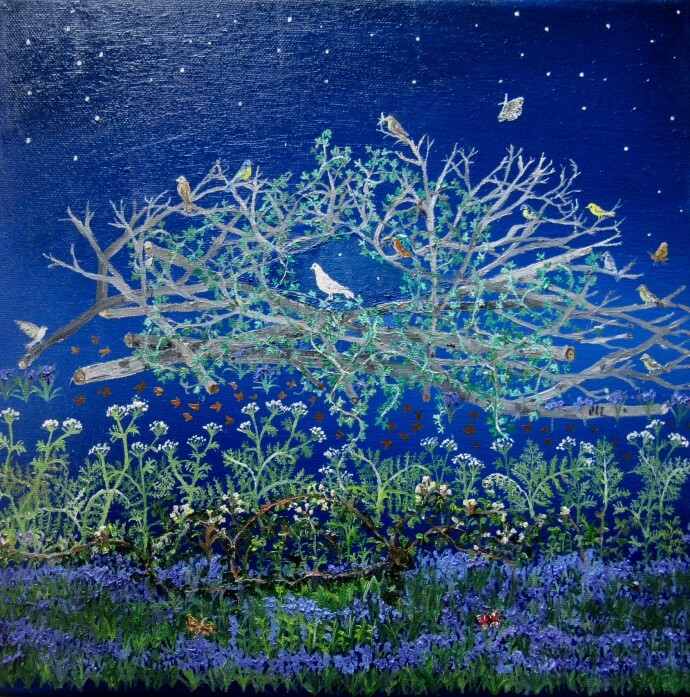 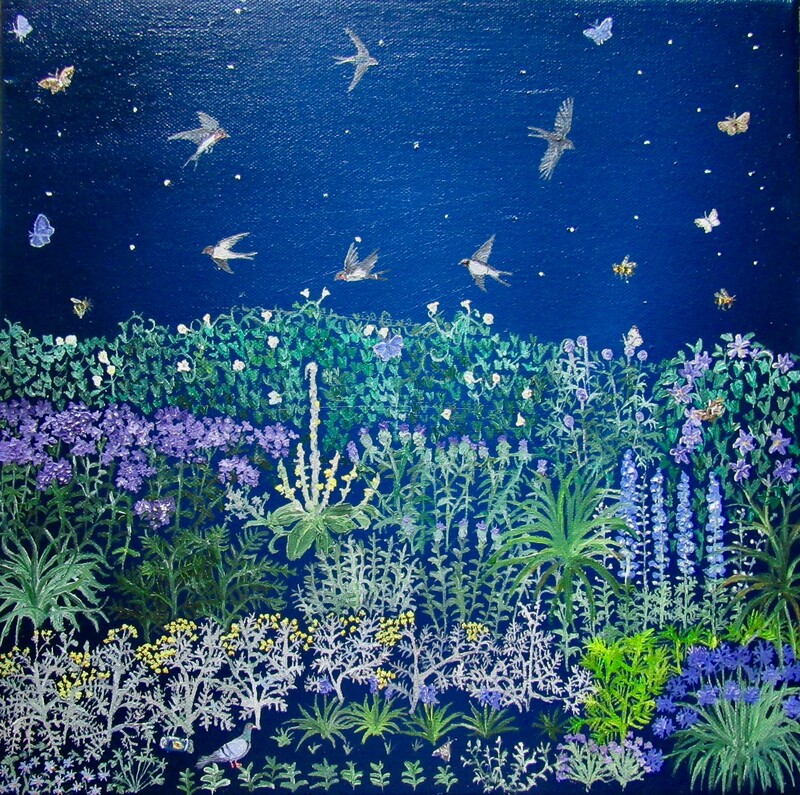 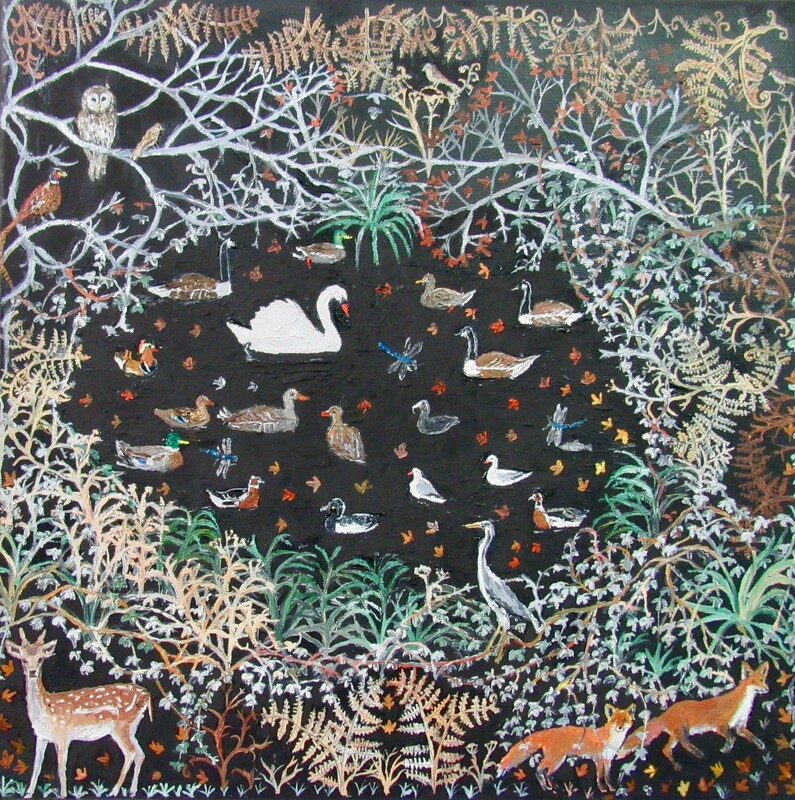 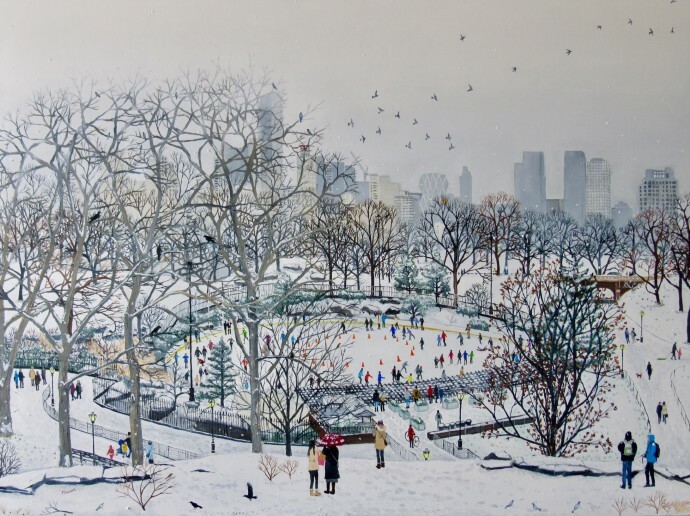 Shiver is an exhibition of winter paintings by British artist Emma Haworth. 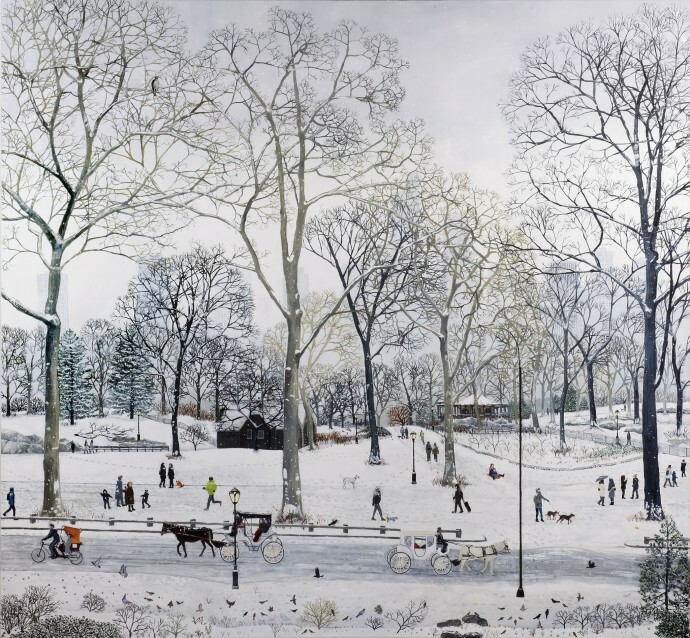 A painter of the urban scene, Haworth's oil on linen compositions are built from her meticulous observation of the ebb and flow of modern metropolitan life. 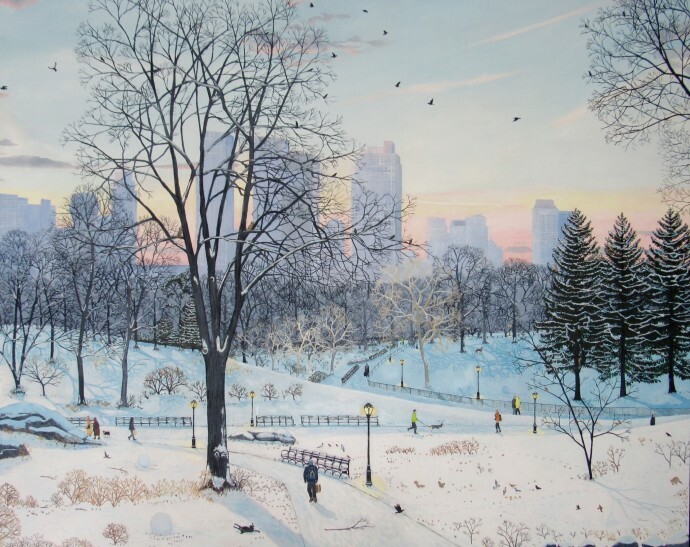 Her work distils the telling, individual detail - a crunch of footsteps in the snow and the beginnings of a snowman. At the same time, she captures a greater sense of the panorama - the weak, winter light and the way it falls on the New York skyline. Since then she has been awarded with the National Open Art Prize and has twice been runner-up in the Lynn Painter-Stainer Prize. She has also been shortlisted for the 2018 Columbia Threadneedle Prize. 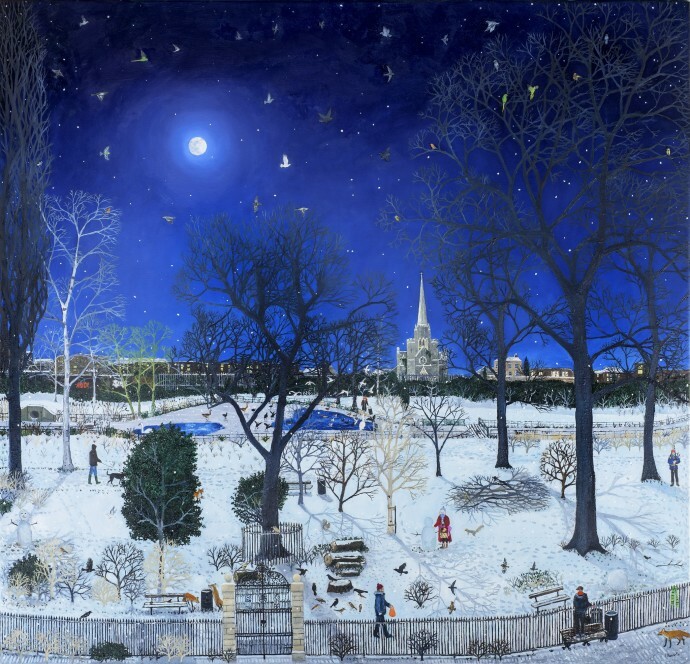 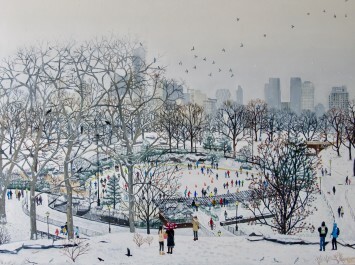 The exhibition will include three major works of Central Park in snow, as well as a London scene and woodland studies.